Laser engraved 3 3/4" x 3 3/4" square 6 coaster set with holder. 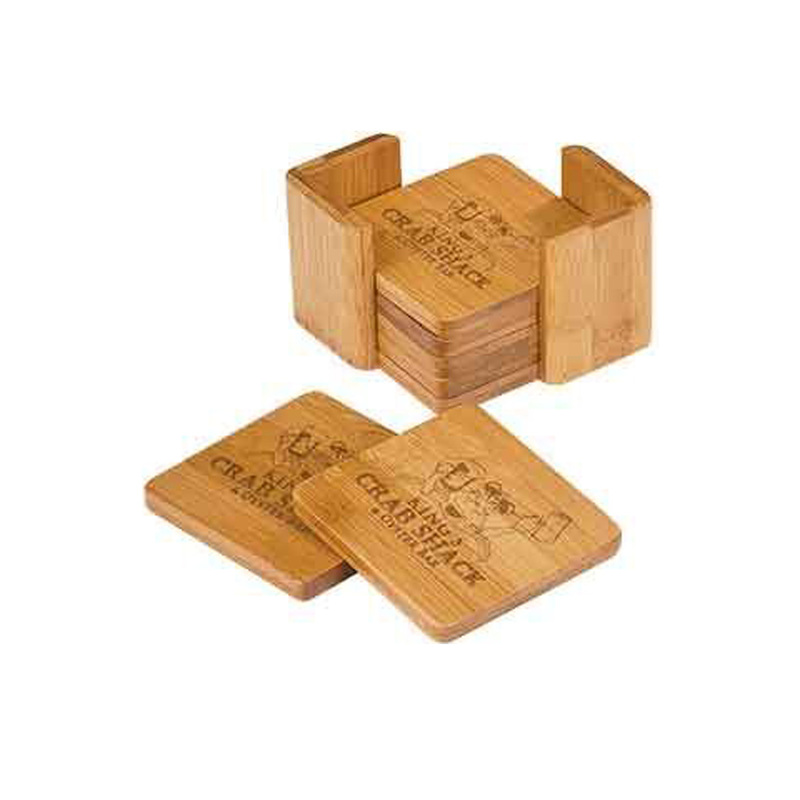 Coasters protect surfaces from wet cups and glasses. Beautifully laser engraved for a great gift. Individually boxed for a nice presentation. Imprint color is in brown. Imprint Area is 3" x 3".